Diversity Ace website is a responsive mobile friendly website which was develop on a one page website design model. The core objective of this website is to provide our worthy client facility to show case his business services . 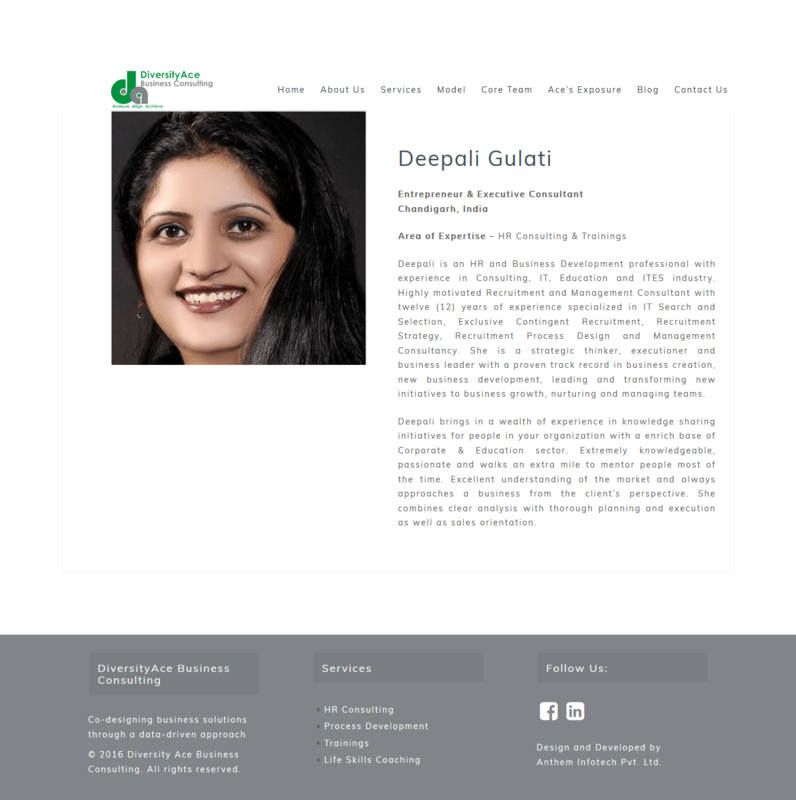 This is business consultancy website. The reason to chose one page design model is to make the website user friendly and bring the content to load fast.